Speaking at a function in Amaravati, the Vice President made this remark while emphasising on the importance of education and teachers. AMARAVATI: Vice President Venkaiah Naidu on Tuesday reiterated Google can never replace Guru (teacher). Speaking at a function here, the Vice President made this remark while emphasising on the importance of education and teachers. “Google can never replace Guru. 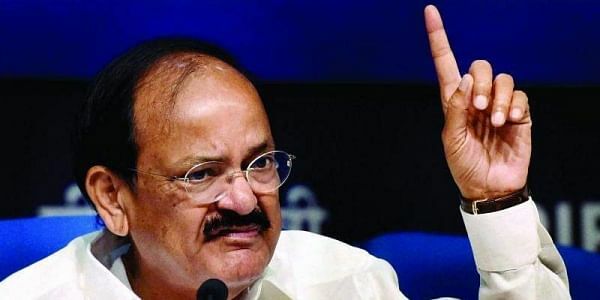 A guru gives not mere academics, but gives insight also,” Vice President Naidu said. On November 11, the Vice President had also said in Odisha that teachers play a key role in transforming the society and they can never be replaced by anything, including Google. He said a state’s future is built in the classroom. “A state's future is built in classroom. Education for employment is not important, but education is for emancipation, empowerment and empathy,” the Vice President said. He said Andhra Pradesh has inherent potential of knowledge and it needs to be utilised properly. The Vice President also said he wanted to take part in the development of state’s capital Amaravati. “I want to take part in development of Amaravati. The new capital can be the hub of education, engineering, etcetera,” Naidu said. The Vice President praised state’s soil and intelligence of its people. “Our lands and brains are so fertile. Positive thinking, smart work can take us to new heights,” Naidu said. He also said that very soon Amaravati will get Videshi Bhawan. “I asked External Affairs Minister Sushma Swaraj to do something for Andhra Pradesh. She offered to setup "Videshi Bhawan" in Amaravati. Immediately, Chief Minsiter Chandrababu came forward to give enough land for it. Soon, Amaravati will get Videshi Bhawan,” Naidu said. Andhra Pradesh Chief Minister Chandrababu Naidu has been leaving no stone unturned to develop state’s new capital a world class city.